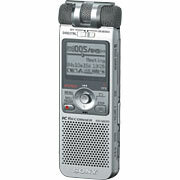 With a digital recorder, you simply inspect the various units and say what you see--vendor issues, delivery holds, safety issues, scheduling issues or quality problems-- easily associating each remark with a location and required task, activity or delivery time. You are done. BuilderWerks will do the rest! 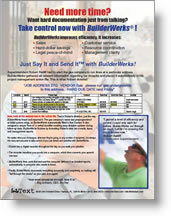 BuilderWerks sorts out what you spoke, turns it into text...separates the information by recipient... (even translates what you said into another language if necessary)... fills out a document or template with the relevant information...e-mails or faxs the resulting document(s) automatically...finally storing it for recall and inclusion into the next inspection note.